IFTTT, which stands for “if this, then that,” is a syndication for busy people to automate thousands upon thousands of time-consuming tasks through what are known as “recipes.” Recipes are simply a series of procedures that are created to achieve a result. The IFTTT Syndication site is comprised of a nearly endless supply of recipes created and designed to save you valuable time. As part of your internet marketing strategy, for example, you may wish to post the same tweet to Twitter every day at a particular time. You can now set up a recipe whereby your words are posted to Twitter, without your assistance, every day at the same time. Perhaps you’re an author who wants to post the link for your followers to sign up to your newsletter every day at the same time on your Twitter feed. You can create a recipe that will do that for you. Then, after you set it up, you can forget it and let the magic of IFTTT take over. Additionally, if you work a great deal with videos on sites such as Vimeo, recipes can be created to upload videos on such sites. At the same time, a post on your blog is automatically created that also features that same video. At the IFTTT site, there are lots of different recipes to choose from. You can create your own custom recipes as well. The possibilities are endless! The more creative you get – and, more importantly, strategic you become with your recipes – the greater your increase in drawing customers and revenue for your product or services. 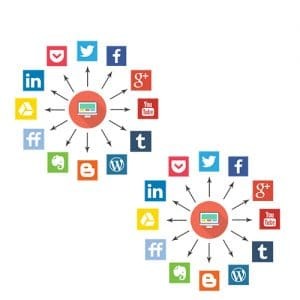 “If this, then that.” In the realm of Search Engine Optimization (SEO), IFTTT is a defining concept for development of networking software for maximum reachability and networking efficiency. 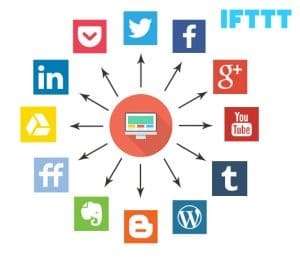 IFTTT inspires a chain of thinking and programming that connects apps, devices and services from different developers in order to trigger one or more automations involving those apps, devices and services. Through the use of this modality, you can seek out certain triggers and formulate what are referred to as “applets” or “recipes” – essentially they are akin to macros that connect multiple apps to run automated tasks. Nearly all of these triggers are related to social media, and once you pick your trigger you can also pick the action that you want to happen because of that trigger. If this trigger occurs, then this result will transpire. Create these recipes and move on to the next; your work here is done. The “if” and “then” words aren’t always used, but the concept is always there. If you post a blog on your website, it will also post on Facebook. If we Instagram a photo, it will also post to Twitter. If you’re tagged in a Google+ photo, automatically save it to your Google Drive account. The possibilities for applets/recipes you can create truly seem endless. You have lots of opportunities to gather data; you just have to know what sort of data would be most beneficial for you. From an SEO standpoint, there are several ways you can really use this tool’s services to your advantage. You setup the recipe once and you’re done. You save time and you can then make sure your content is always shared across all of your platforms. What Syndication’s Do You Offer? 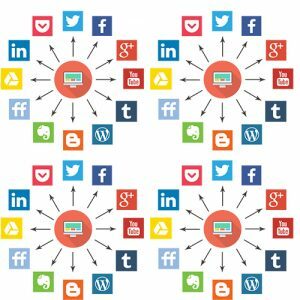 Syndication Network 2 Tiers (2 Rings) : Will provide another fully optimized Social profiles and Blogs accounts and create IFTTT recipes for them. 10 Accounts on each network.